Living near busy roads with constant noise has more downsides than sleep deprivation. 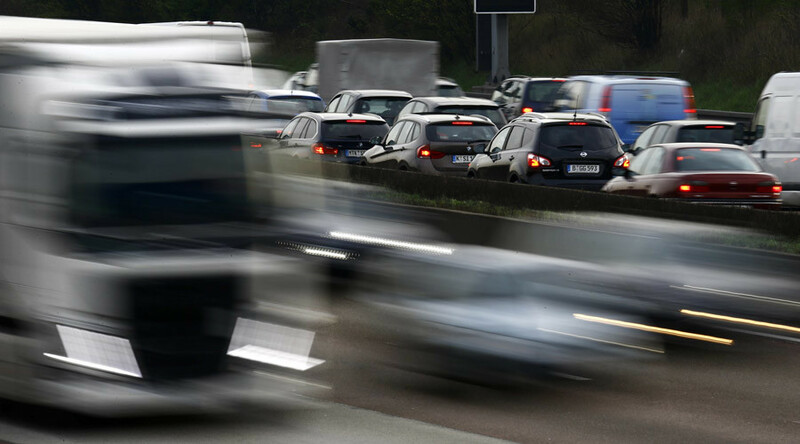 Canadian scientists say that those who live in proximity to heavy traffic have an increased risk of developing dementia. “People who lived within 50 metres of high-traffic roads had a seven per cent higher likelihood of developing dementia compared to those who lived more than 300 meters away from busy roads,” research from Public Health Ontario (PHO) and the Institute for Clinical Evaluative Sciences (ICES) has found. Researchers examined over 6.5 million residents in the Canadian province of Ontario aged 20-85. The key findings of the study were published in the Lancet general medical journal on Wednesday. “Scientists identified 243,611 cases of dementia, 31,577 cases of Parkinson’s disease, and 9,247 cases of multiple sclerosis in Ontario between 2001 and 2012,” the study said, adding that it only found a correlation between major traffic proximity and dementia, but not Parkinson’s disease or multiple sclerosis. “Our study is the first in Canada to suggest that pollutants from heavy, day-to-day traffic are linked to dementia. This study suggests air pollutants that can get into the brain via the blood stream can lead to neurological problems,” says Dr. Ray Copes, chief of environmental and occupational health at PHO, and an author of the paper. “Increasing population growth and urbanization has placed many people close to heavy traffic, and with widespread exposure to traffic and growing rates of dementia, even a modest effect from near-road exposure could pose a large public health burden,” he added. Dementia is a wide range of brain diseases that cause problems with memory, thinking, behavior, and the ability to perform everyday activities, according to data from the World Health Organization. Alzheimer's disease is the most common type of dementia, as it constitutes up to 70 percent of the cases. Around 47.5 million people worldwide have dementia, “with just over half (58 percent) living in low- and middle-income countries, and there are 7.7 million new cases every year,” according to WHO. “The total number of people with dementia is projected to 75.6 million in 2030 and almost triple by 2050 to 135.5 million,” the organization says.